Being injured in a Lyft accident in Fort Myers means that you need to talk to the best Fort Myers accident lawyer you can locate as soon as possible. You may be entitled to compensation for injuries sustained in the accident, but there are many obstacles to overcome before getting it. That's why you need a good lawyer on your side. Our Fort Myers Lyft accident lawyers at the Wolfson Law Firm represent Lyft drivers, Lyft passengers, and anyone else injured in a Florida Lyft accident since the entrance of Lyft on the Florida market. We also use ridesharing services every day. One member of our team is even a former Uber and Lyft driver and gives us insight into the life of a driver and the stress they undergo in trying to make a living. We have the experience and the knowledge to serve you well in your quest to compensation for personal injuries due to any type of Lyft accident in Fort Myers. Call us now at 239-777-9954 for free consultations. We handle cases on a contingency basis, so we won't ask for fees unless we recover for you. In some cases, we may get our fees paid by the insurance company, which brings maximum benefits for you. Ridesharing companies have taken the United States by storm. They serve many cities across the country, and lately across the globe. Fort Myers, Naples and Florida are not an exception. After the early legal struggles with local authorities, Uber and Lyft caused laws to change in Florida, and now they offer their services throughout all the Sunshine State. Uber leads the market, while Lyft falls behind with 35% market share. Lyft is quite popular in Fort Myers, mostly because it offers the most convenient way to travel to and from the Southwest Florida International Airport. Other busy routes such as the Interstate 75 and the Tamiami Trail are also often used by Lyft passengers and drivers. When a Lyft driver causes an accident in Florida, you can claim compensation against Lyft's insurance policy. If the driver is "on the clock" then $1 million in coverage may be available. Personal injury claims against Lyft are different than the usual car accident case. 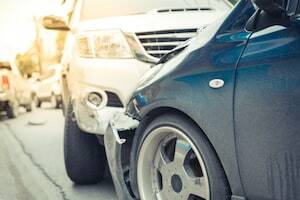 Your Fort Myers car accident lawyer will not only need to work through the usual issues of fault and liability but will also be called upon to navigate through complex insurance coverage questions. That is why it is in your best interests to call the best Fort Myers accident lawyer you can find to help you after your Lyft car accident in Fort Myers. Our Fort Myers Lyft accident lawyers at the Wolfson Law Firm can help you and your loved ones. Call us for your free consultations at 239-777-9954. Our Fort Myers personal injury lawyers serve all of Southwest Florida including North Fort Myers, Cape Coral, Lehigh Acres, Estero, Bonita Springs, Naples, Golden Gate and Sanibel. We don't ask for fees until we recover for you. Call us today and get the answers you need.